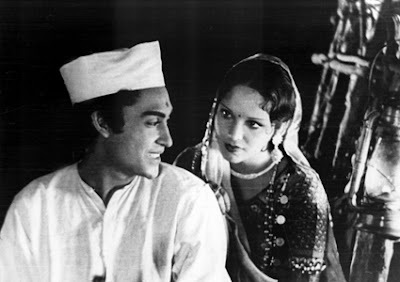 The village girl aka “gaon ki gori” in Indian cinema retains a semblance of rural clothing, more often than not a coarse cotton ghaghra with a mismatched or contrast printed cotton choli (there are of course regional variants). From Achhut Kanya onwards the costume has been glamourised for the screen and actresses appear in full make up. The look has been fairly consistent across decades, see for example here and here. 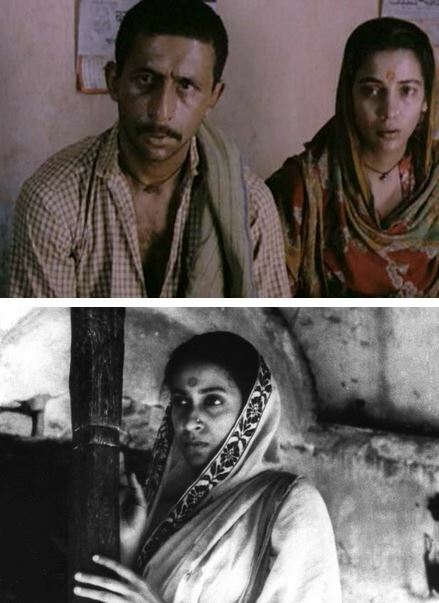 Indian cinema also offered another view of the village in movies like Do Bigha Zamin (still 1), Mother India, Paar (still 2) and Pather Panchali (still 3). All movies deal with themes of poverty, inequality, endurance and struggle. And are fairly realistic in terms of costumes. As the extract from Song of the Loom shows, the poor in villages could not afford more than simple bordered coarse cotton saris, even when they wove a better quality of cloth for the market. This in turn gave way to printed cottons. 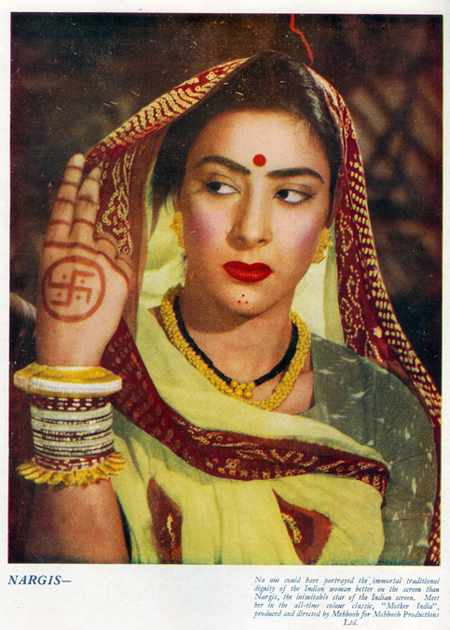 And in our time to synthetic saris (as in the last still from Welcome to Sajjanpur). 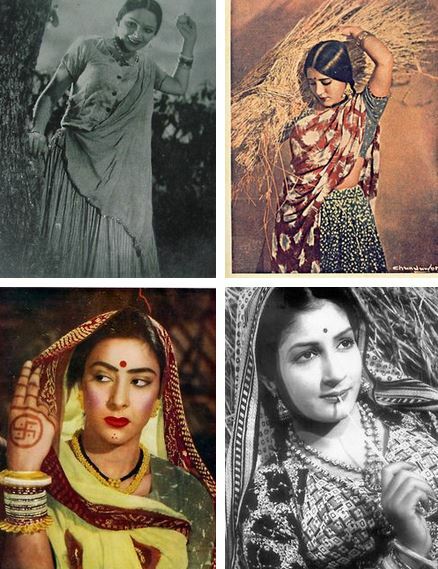 This entry was posted in Bollywood, Early 20th Century, fashion, History, Indian Cinema, Indian Dress, Old Bollywood, Rural, Sari, Sari Blouse, Village, Vintage and tagged Bollywood, gaon ki gori, ghaghra choli, india, indian cinema, poverty, rural india, sari, village girl, vintage. Bookmark the permalink. Thanks Betsy. I will be doing a series of posts on khadi and Indian independence – you might find that interesting too! Thank you Mardi. Karuna Bannerjee is wonderful in the movie, such an expressive face.